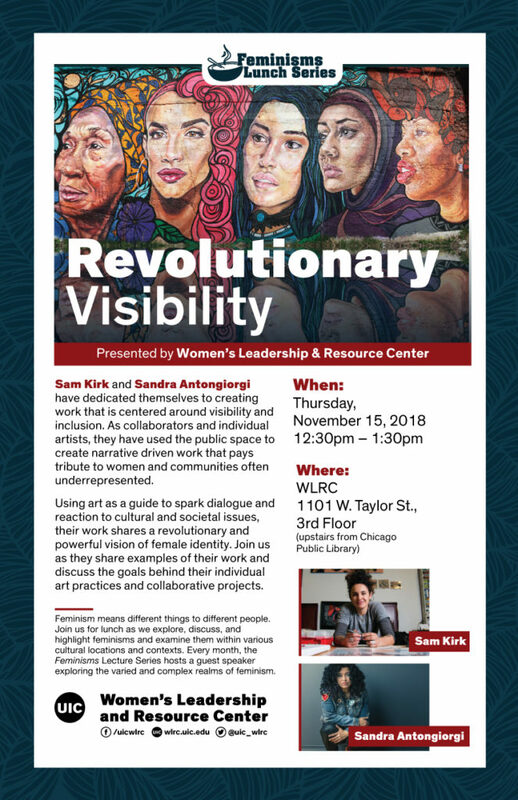 Chicago-based artists Sandra Antongiorgi and Sam Kirk have dedicated themselves to creating work that is centered around visibility and inclusion. As collaborators and individual artists, they have used the public space to create narrative driven work that pays tribute to women and communities often underrepresented. Using art as a guide to spark dialogue and reaction to cultural and societal issues, their work shares a revolutionary and powerful vision of female identity. Join us as they share examples of their work and discuss the goals behind their individual art practices and collaborative projects.